Designed to be the perfect first R/C truck! MINI-Z performance and quality at a great value price! 2.4GHz Readyset brings the challenge of off-roading indoors!  Kyosho makes it easy for anybody to enjoy the benefits of advanced design technology and components with the realistic control and great value of the MINI-Z Monster EX. This compact and realistic machine is specifically designed for beginners to R/C cars and features large pneumatic rubber tires that power over just about anything that gets in its way. The advanced control system includes the ASF 2.4GHz R/C unit so the need to manage frequency bands is no longer required and also allows up to 40 models to be operated simultaneously. In addition, the power of the X Speed Mini-Z Motor V works in perfect combination with the high power speed controller. There is more than enough power output to execute wheelies! An original design body is adopted. Loaded with powerful X SPEED Mini-Z Motor V.
Includes the stylish black ASF 2.4GHz KT-18 transmitter. No need to wait for open frequency bands. Simply switch ON and go!